Today was fantastic. We woke early and took the morning ferry from Koh Phi Phi to Krabi. We headed up the coast. I read that Phra Nang Beach was different than Phangnga. Novita said to go on, and Lani suggested to go back. I decided to go back. We searched for Phra Nang. In Ao Nang, they said we needed to take a boat to get to Phra Nang. So I chartered one for 1300 Bhat. The caves and spires of rock in the area were spectacular. Definitely the most beautiful beach in the world! 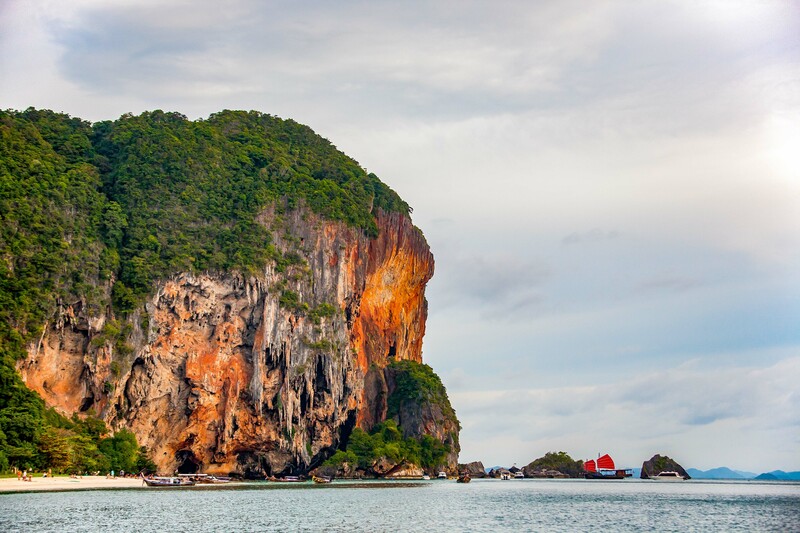 I decided to add Phra Nang Beach to Shea’s Register of the World8.